This guide will explain some of the hidden features the game does not tell you about, but you will wish you had known. Finding that it is too slow to run across vast distances? Simply tap Q while holding W to do a lunge melee attack. While you are still lunging, start up and hold your jetpack and you will gain a massive speed boost (apprx. 3-4x the speed of sprinting). If you see a colonist structure in the distance, you can place a custom waypoint on it by focusing your Analysis Visor on it. Once you reach the waypoint, remove it from your HUD by initiating an area scan (tap c once you have your scanner repaired). Instead of letting your Mining Beam overheat when tackling large ore deposits, pull your finger off the trigger just before you think your mining beam will overheat, which is usually around 1 second and a half after it reaches 100%. If you wait a second and start firing again, the heating bar will reset to 0% and you can continue to mine without waiting for a long cooldown. Some planets have special resources. You can tell it's one of these planets because sentinal threat is super duper high and you'll see the resources show up in green diamonds with an exclamation piont. 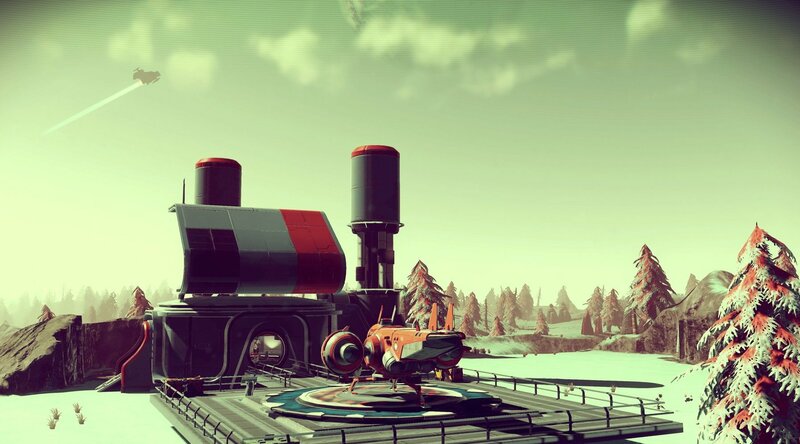 Pick one up and sentinals will come after you, but if you jump in your ship they won't attack and you can just fly away.